The Redeemed Christian Church of God (RCCG) has undergone some new structural changes in its Nigeria branch. 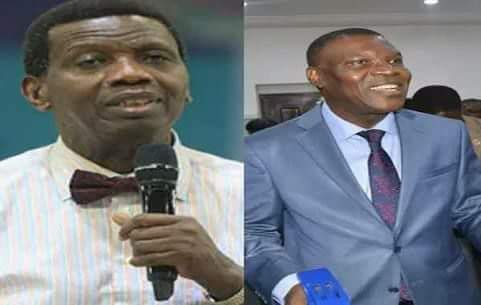 Reports say the RCCG at its Annual Ministers Thanksgiving on Saturday in Ogun state, Pastor Enoch Adejare Adeboye, announced his retirement as the General Overseer of the church in Nigeria while remaining as the General Overseer Worldwide of the church. The Church is now to be led by Pastor Joseph Obayemi. The newly appointed GO was the former Special Assistant to the General Overseer (SATGO) on Finance. Others are Pastor Funsho Odesola, as the new Church Secretary and Pastor Adeyokunu, as the new Church Treasurer. This is sequel to new legal requirements set up by the Financial Reporting Council of Nigeria (FRCN) which guides all companies, registered churches, mosques, CSOs and other organisations. They have a maximum period of twenty years to lead their organizations and in retirement, they are not permitted to hand over to their families. Meanwhile, reports say Activists, Pastors and workers of some Pentecostal churches had in 2015 petitioned the Financial Reporting Council of Nigeria over its plan to promote the “Not for Profit Code 2015” against the religious organizations. The code seeks to nullify theocracy in the church which is ascendancy of rulership and headship of the church by spiritual means. It sought to impose democracy as preferred means of assumption to the structures of the church leadership in the area of appointment, tenure and succession. Some of the aggrieved churches are Redeemed Christian Church of God (RCCG); Living Faith International also known as Winners’ Chapel and Foursquare Gospel Church. They alleged that the promotion of the code was being mooted with active connivance of the Federal Ministry of Trade and Investment. Addressing a news conference in Lagos last week, their counsels led by Bamidele Ogundele said “governance in the church is a spiritual affair and that any attempt to separate spiritual affair leadership from administrative leadership would bring dichotomy, create crisis within the churches of God and create multidimensional contradictions”. Ogundele argued that the Sections 1.1, 8-40 of the code which impose General Assembly and tampered with the structures in the church “ is anti-Christ, satanic agenda, illegal and a breach and an infringement of the fundamental rights of their clients to freedom of thought, conscience and religion under Section 38(1) of the 1999 Constitution as amended and Article 8 of the African Charter of Human and Peoples Right (Enforcement And Ratification Act), Law of the federation 2004. He said that the council has over stepped its powers and functions under Sections 7 and 8 of the Financial Reporting Council of Nigeria as well as duplicating the functions of the Corporate Affairs Commission (CAC) under Companies and Allied Matters Decree, Law of the Federation 2004 which is saddled with the responsibility of registration and monitoring Churches and charitable organiSations. He said their clients are committed to the defence of rule of law and constitutionalism in Nigeria and have therefore decided to challenge the new development in court in order to prevent crisis in the church and to enforce their fundamental human rights at the Federal High Court, Lagos. The applicants in the suit number FHC/L/C5/974/15 are Bamidele Ogundele, Busola Ogunyode for themselves and the registered Trustees of the Centre for Rule of Law; Pastor Ayodele Oladeji, Babatunde Adefila, Isaac Opayinka and Bunmi Olawunmi. Respondents in the suit are the Attorney General of the Federation, Ministry of Trade and Investment and the Financial Reporting Council of Nigeria. The applicants among others sought six reliefs from the court including a declaration of the court that the purported Not-for-Profit Sections Codes 2015 muted and being promoted by the second and third respondents is illegal and unconstitutional because it amounts to duplication of the functions of the CAC saddled with the responsibility of registration and monitoring of compliance of charitable organizations/groups. They also prayed the court for an order of injunction restraining the respondents, their agents and privies from adopting and given of effect of law to Not-for-Profit sector Codes, 2015 based on their infringement on the right of the applicants to religion under section 38(1) of the 1999 Constitution and Article 8 of the African Charter of Human and Peoples Right (Enforcement And Ratification Act), Law of the federation 2004 and its inconsistence with section 7 and 8 of the enabling law establishing the body i.e. Financial Reporting Council of Nigeria Act Cap f42, Law of Federation, 2011. Media Consultant to the Council, Mark Ogbamosa said it was a misunderstanding that the churches see the Code as been targeted at them. “A committee was set up to work on a corporate governance for different sector of Nigeria. There is Corporate Governance already in Nigeria. In fact, we have six of them. For instance, there is one for CBN and banks and another for the NGO’s and Churches and Mosques fall under this group because they are more or less public organizations. . The truth is that when you have Corporate Governance in churches and mosques, it is not for them to pay taxes. That is wrong because it is not about taxation,” he said adding that the council is also not going to look into the accounts of the churches. That is for Internal Revenue board to do. He however explained that corporate governance has to do about tenure and succession. “It is saying that you cannot be in one position for too long. When you stay too long in one position, you become a dictator. You must give room for other people to cue in because you are committing people’s money. So if it takes one person to stay there for too long, it means there could be dictatorship, there could be mismanagement”. Ogbamosa said the code has to do with universally accepted system of church administration than of spiritual. He said the council is aware that the pastors have sued the agency and that they already have the papers.